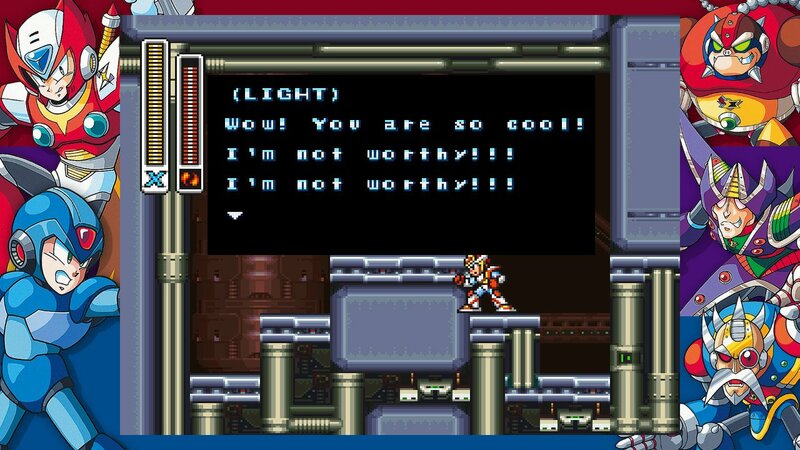 As you may expect, I have been playing the Mega Man X Legacy Collection somewhat obsessively lately. 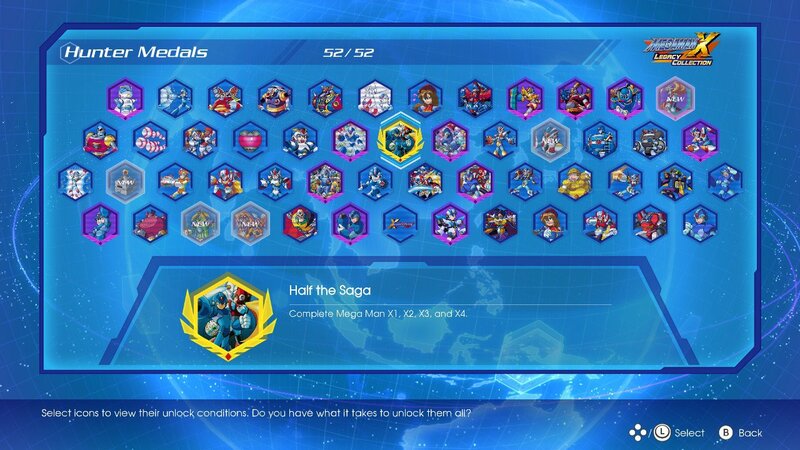 To that end, I have beaten X2 through X4 and also the bonus X Challenge mode. And I have some things to say about these games! Let’s start off by noting the less obvious: I almost never replay these games. It’s always the original Mega Man X that I go back to, so I’m not nearly as familiar with the rest of the series. As such, I had to do a lot more goofing around in them, looking for hidden secrets and trying desperately to remember which weapon works on which boss. Sometimes it worked in a game’s favour, sometimes not so much. How did it all roll out? Let’s take a look! If you had asked me at any previous point, I would have plainly told you that Mega Man X2 is the second best game in the series. I think that still holds true, but this replay has reminded me that it still has a handful more faults than its predecessor. For example: a few items placed in obvious traps that either require you to sacrifice a life or find your way across a seemingly impassible chasm. Also, it requires a lot of stage revisits to get 100% of the powerups, which isn’t the worst for a casual player such as myself, but I still find it annoying. And speaking of annoying, Wheel Gator is like the worst example of a boss that spends 95% of the fight hidden away and unable to be damaged. It’s an awful, awful boss fight. Something important that needs to be noted is that while all the MMX games have their own little gimmicks, the first game has one of the best and most effective ones. In Mega Man X, beating certain stages will have an effect on other stages. For example, once you defeat Chill Penguin, all the lava in Flame Mammoth’s stage will have cooled over. Or when you defeat Launch Octopus, several sections of Sting Chameleon’s stage will be filled with water. It’s generally a very subtle change, and it’s not used quite to the extent that it could be, but the idea is never truly explored again in later games, and I think that’s a real missed opportunity. Back to X2, there are still lots of things to like about it! The bosses who aren’t Wheel Gator are generally really great, for example. Although this is where the annoying trend of making bosses invincible during some of their moves begins. Having to chase around the X-Hunters to collect Zero’s parts is a neat gimmick, and doing so gives you an amazing benefit at the end of the game, making it absolutely worth the effort. Plus X2 introduces air-dashing to the series, and very possibly video games on the whole. Air-dashing is like the coolest thing ever, and the world is all the better for this contribution. Mega Man X3 is where things begin to take a bit of a dip in quality. And that’s not to say it’s a bad game! It’s not! Where it stumbles is in its over-ambition and subsequent feature bloat. There is too much crap to collect, too many systems that don’t really matter, some really strange boss AI quirks, and a final boss that feels very nearly impossible to beat. Most importantly, it suffers from a lot of slowdown, which is so bad that the game ends up “eating” inputs, so sometimes you won’t jump or dash or whatever when you press the button. At the very least, they didn’t include a ride chaser stage, which is always a plus. There are two major new “features” to X3, the ride armors and the hyper chips. Ride armor isn’t strictly new to the series, but being able to unlock and collect a variety of different armors is certainly a new twist. But this makes ride armor less special, since you can summon them in basically every stage. You lose the sense of joy from finding one of the mechs laying in your path and subsequently being able to lay waste to everything that gets in your way. Plus they’re mostly there as fancy keys for hidden power-ups, so meeeeh. The hyper chips are likewise a neat concept: you can find extra chips that further enhance the abilities of X’s armor. The catch is that you can only ever have one installed at a time, which is absolute torture for indecisive people like me. There is a secret way to get them all at once, but the criteria are very strict and it’s hidden away especially well. But what does X3 get right? Well, the base game remains as solid as ever, with the cool additions of a new three-stage charged shot and vertical air-dash. I honestly like this group of Mavericks better than the eight from X2, even though there’s an odd slant towards sea-dwelling creatures. Lastly, there’s a very cool feature where bosses in the final fortress will change or be swapped out entirely depending on which mini-bosses you fought and/or destroyed throughout the main stages. It’s a nice, subtle way to add variety and incentivize replays. My absolute favourite thing about X3, however, is that it actively keeps track of all the power-ups you’ve collected on the map screen, so you can see at a glance which stages still have hidden secrets to find. None of the games after it have had this awesome feature and I don’t know why because it just makes life so much easier!! Lastly, we have Mega Man X4, the first game in the series on the Playstation. As such, it boasts bigger, fancier graphics and effects. I personally don’t think they’ve aged especially well, and prefer the classic SNES look. That aside, a great many folks swear by this as the best Mega Man X game. Don’t listen to them, they’re crazy people. X4 is still generally a very good game. Just not the best. Example: you can play as Zero for the first time! He has his very own campaign with a modified story and unique bosses! He also plays completely different from X, since his main form of attack is a beam saber, and he learns sword techniques instead of copying weapons from defeated bosses. It’s a really cool feature! BUT! It doesn’t hold up well to the march of time, because the Mega Man Zero games exist and they are so incredibly good that they make X4 look like trash in comparison. But maybe that’s being unfair, as when judged by its own merits, X4 is certainly not trash by any means. Aaaanyway, X4 ups all the antes, and does some other really cool stuff. The leg parts let you air-dash and hover in place for a while. The helmet part lets you use uncharged boss weapons at no energy cost. You can face one of the tougher bosses in a ride armor, if you so choose. All the fortress stages are crazy short to focus on the sweet boss fights. And the final battle seems impossibly difficult at first, but is actually fairly easy to master once you learn the patterns. As you may know, I’m a huge fan of not being frustrated by video games. So what don’t I like about it? The stages are a bit too long, X has a weirdly squeaky voice and gameplay voice clips in general (Hup! Hup! Yaah! It’s not over yet!) are used way too often. As I said before, the graphics just haven’t aged all that well. And the anime cutscenes… Oh good lord. They look just fine and all, but the English voice acting is atrocious. This is Capcom of a PS1 vintage, so I have a feeling that you know what I’m talking about. Lastly, the game’s control just doesn’t feel quite as tight as the SNES entries. It certainly doesn’t lose your inputs like X3, but there’s something just ever-so-slightly off about it. Maybe it’s because the big, chunky sprites don’t seem quite as agile as the little pixel guys on the SNES. So that’s about all I have to report on Mega Mans X2 through X4. While they are a little bit rougher around the edges than the original Mega Man X, they’re all absolutely worth playing, and I can tell you for darn sure that they’re way better than the garbage fires that lie ahead.